It still surprises me when I see municipalities and some media promoting Roof-based Rain Barrels as a source of water for your "garden". Left to their own interpretations, folks might think "garden" means vegetable garden and that can be problematic. Why? If the RB owner has an asphalt roof (the most common type of roofing in the United States) they will inadvertently be exposing their edibles to a wide range of contaminants. Here is a list (not exhaustive) of what might be present in asphalt roof run-off: zinc, lead, chromium, arsenic, polyaromatic hydrocarbons, bacteria (from animal inhabitants), and dissolved organic carbon. As an Environmental Toxicologist with the Minnesota Department of Health once put it "it is similar to what you might collect off of a parking lot." 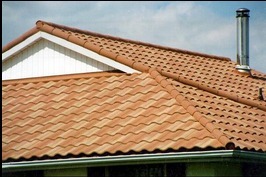 (Source) Other types of roofing material may not be as bad as asphalt. But it is clear that whatever is used to make the roof moss and weather proof can be a source of harmful chemicals. Professional RWH installers will say that this contamination is not a problem if you install "first flush" and a filtration system. And that is true. But over time (as filters need to be replaced) that can cost 1000s of dollars not to mention the cost of pumping the "cleaned" water out to where you need it. First flush alone is not expensive but nor it is it sufficient, as it can't really get at dissolved contaminants. Needless to say, if it's not safe for your edibles it's certainly not safe for drinking water. And this is why we created our product: to provide those who need it with a way to harvest water with a focus on cleanliness and quality, not quantity as one gets with roof run-off.